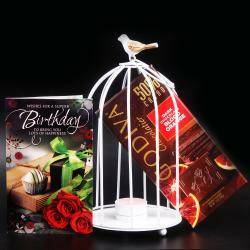 Product Consists : Dome Shaped Metal Pink Cage (Length: 22.86 Cm, Width :12.7 Cm) with A Candle and Auston Fruit & Nut Milk Chocolate (Weight: 100 Gms). Give your dear ones a reason to adore you by treating them to immaculate gifts. This combo is the perfect for any occasions. This combo will be hard to resist and makes for a fabulous gift option without a doubt. 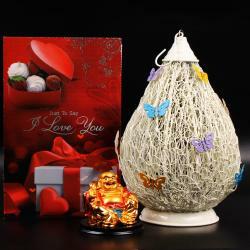 Order this amazing gift combo and send love to dear ones on their special occasions. 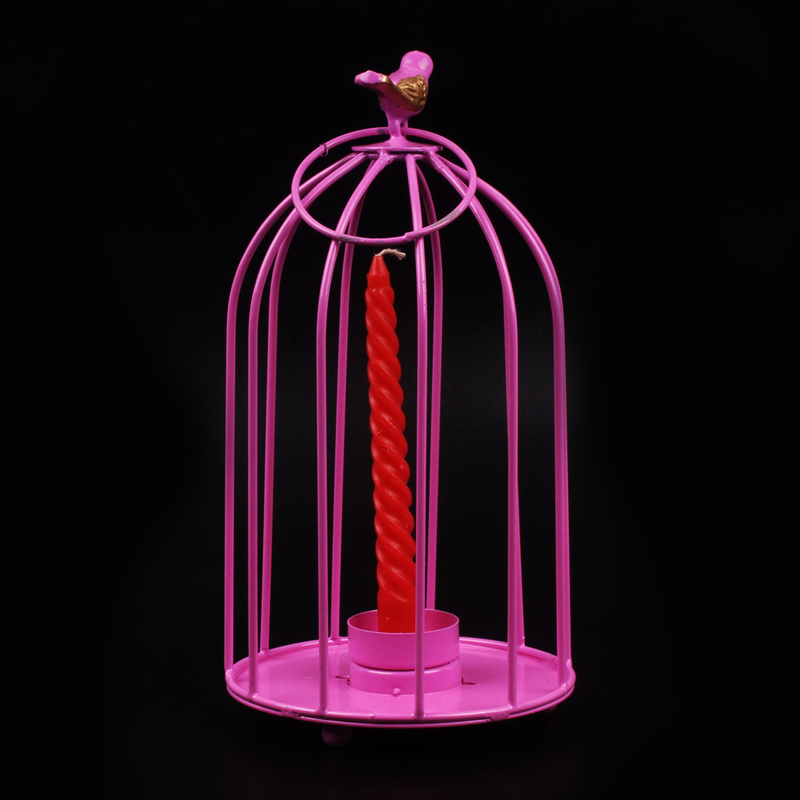 This beautiful pink birdcage would be a nice addition to your wedding decor. Would look lovely as a centerpiece or just to dress up any dresser or table. This Bird Cage lid opens on a hinge. Comes with a hook for hanging. Auston Fruit and Nut is a very popular chocolate all over the world. 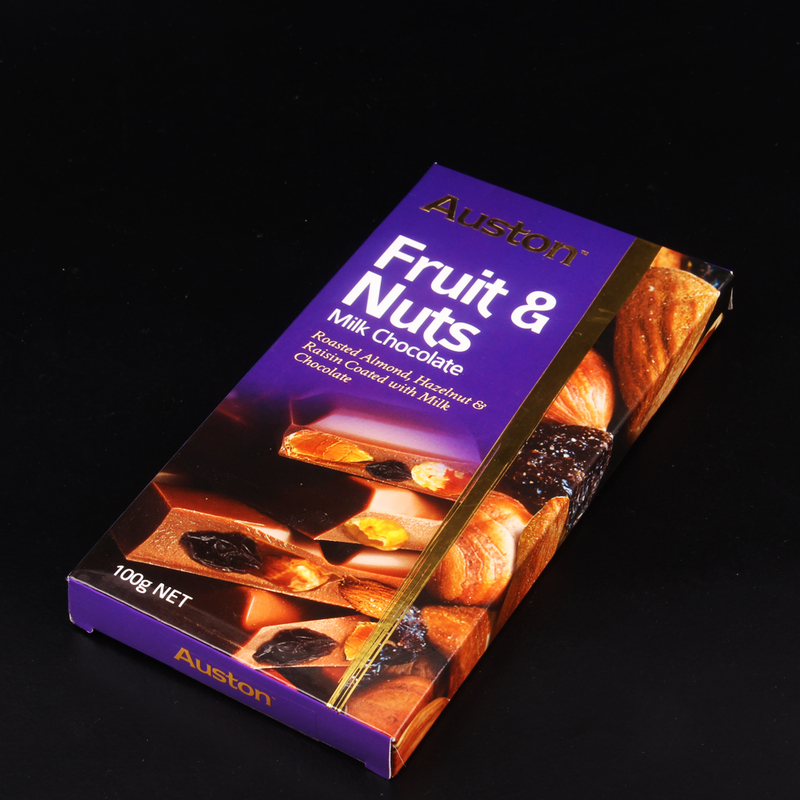 Auston Fruit and Nut is a milk chocolate filled with dry fruits inside and has a smooth chocolate layer outside. Auston Fruit and Nut is made from pure milk chocolate bar, which dissolves in the mouth when as soon as it is put in the mouth. 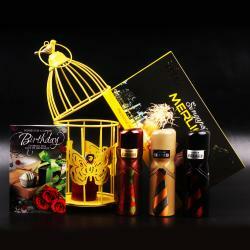 Hamper also include a Single Long Candle. 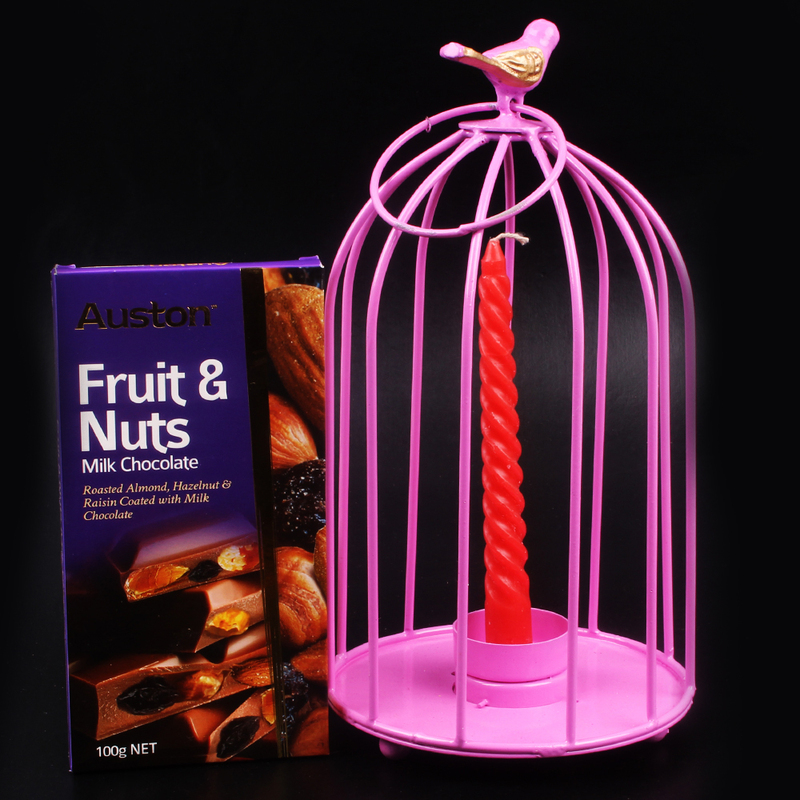 Product Consists : Dome Shaped Metal Pink Cage (Length: 22.86 Cm, Width :12.7 Cm) with A Candle and Auston Fruit & Nut Milk Chocolate (Weight: 100 Gms).